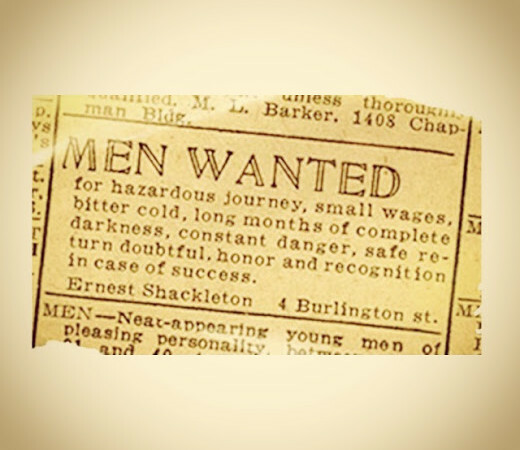 Legend holds that Sir Earnest Shackleton, the famous Irish explorer, placed this classified ad in a London newspaper when looking for men to join him on his upcoming 1914 New Imperial Expedition to the South Pole. Amazing. It’s not exactly an ad you’d write in order to attract a lot of recruits! I’ll bet only one in ten thousand men would even consider responding to that ad. But Shackleton knew that those would be the men he needed. Those were the men who would be bold enough to endure such an expedition. It reminds me of an urban legend told of the four main branches of the military hosting a high school assembly to recruit students into the service. One by one the recruiters addressed the student body. The Army, Air Force, and Navy recruiters each went on in some detail about the various benefits and advantages available to those who chose their particular branch. Then the Marine recruiter stood to address the students. He proceeded to tell them not to bother coming to his table. He told them that they were not tough enough to be Marines, not even close. He told them that he doubted that any of them had backbone it took to join the Corps. He went on about the hardships and the pain that new Marine recruits would have to endure. When the students were released to go to the tables of their choice, the Army, Navy and Air Force recruiters stood silently behind their empty tables with their hands in their pockets. Meanwhile, the marine recruiter was mobbed by a crowd of students eager to sign on the dotted line. It seems like everywhere I turn I’m faced with folks who are on the brink of big changes in 2014. As you look over the next 12 months do you see change on your horizon? Let me challenge you with this…Get ready. It will be tough. It might even be the toughest, most challenging thing you’ve ever done. But you can do it. Remember, anything worth doing is going to be that way. It’s the difficult things that pull the best out of each of us. None of us are at our best when we have it all going our way. When we’re in the recliner, in front of the television with snacks and a drink close by we rarely achieve greatness. It’s the tough times that cause us to rise to the occasion and shine. Like it or not, we need the difficult things to make us grow into better people. I’m feeling a new sense of urgency in the air, how about you? Realize that the strength it took to handle things in 2013 won’t be adequate in 2014. Are you bold enough muster new strength? 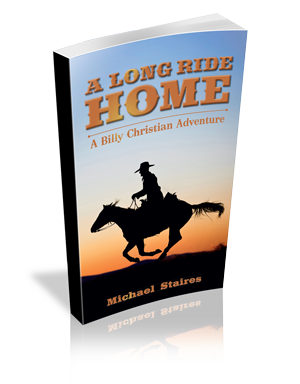 Are you bold enough to do the thing that you can’t do without God’s help? That’s where growth happens. When you stretch out and do the thing you didn’t think you could do. But first you have to be bold enough to try. It’s not time to settle and seek comfort. It’s not time to look for the recliner. It’s a season to be bold and do the thing that’s not been done before. 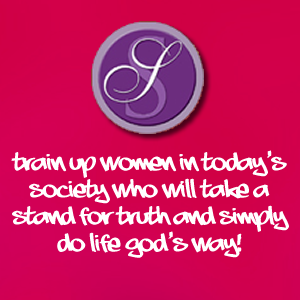 It’s time to do the thing that can’t be done without God’s help.